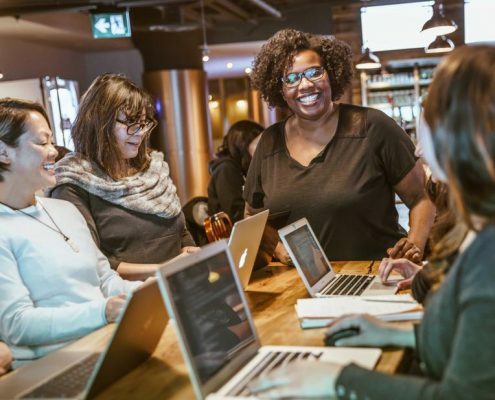 Great workplaces help employees fuse and integrate their personal and professional lives in ways that position them to perform their best work. Growth mindset leaders are the key to engaged and innovative organizations. They think about success differently, take care of their people and have happier, engaged and creative employees. When it comes to organizational effectiveness and performance, organizational health matters. Create a leadership mindset with every seat in the organization by leveraging the fusion of organizational development and employee well-being and go from SURVIVING to THRIVING. Are you ready to connect and communicate more effectively with your teams, support employee wellbeing, and the development of leaders to achieve better results in your organization? As a consultant and coach in Thriving Workplace Culture, I help leaders and their organizations define, understand and create a great workplace culture.